On a clear night, you can gaze out across Tokyo and as far as Yokohama. Mt. 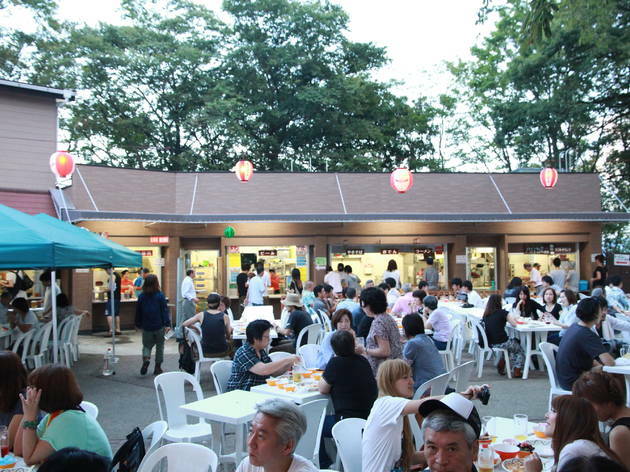 Takao's beer garden is located 500m above sea level, and does a good job of keeping hikers well sozzled throughout the summer. 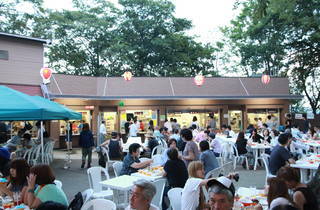 The price (¥3,800 for men, ¥3,600 for women) includes a buffet of Japanese, Chinese and Western food – none of it exactly what you'd call gourmet fare – and two hours of free-flowing beer, wine and cocktails. To say that this place gets crowded at the weekend would be a gross understatement. The garden is open from mid-June to mid-October, and one word of warning: the last cable car departs at 9.15pm sharp. Reservations are taken for weekdays only. Mt Takao Beer Mount's opening days for 2018 are from June 15 to October 15.